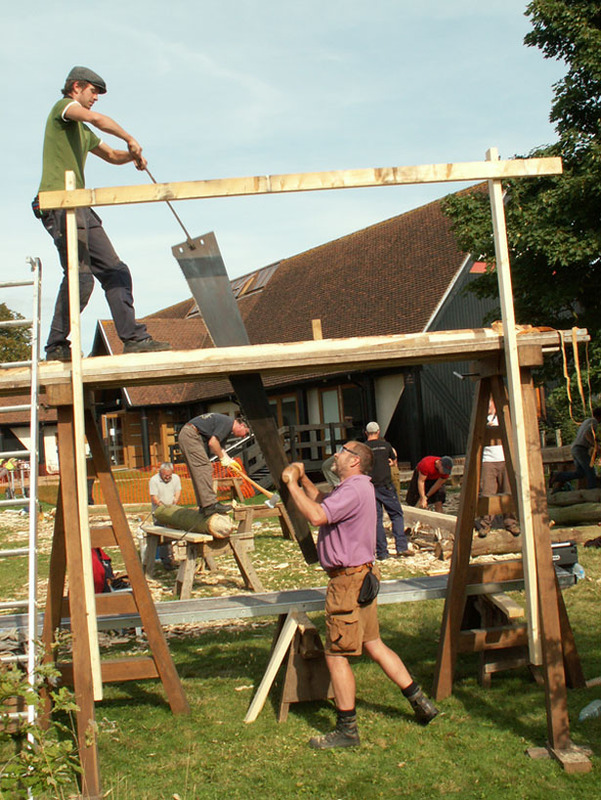 The object of the course is to try out different methods, and types of saws, used historically, to convert round timber into squared beams, for construction. We will be working with oak and sweet chestnut logs, to produce tie beams and rafters. Participants will gain hands-on experience, using a variety of different two-man saws, and will be able to experiment with alternative methods for supporting timbers while they are being sawn including high level trestles, see-sawing on low trestles and tripods. In the UK rip-sawing was usually done over a saw pit but we will not be able to do so unless the participants are willing to dig a 6 foot deep hole! The day will also explore topics such as saw sharpening, saw tooth geometry and setting up saws to work most efficiently. Participants are welcome to bring their own saws with them, to practice with.